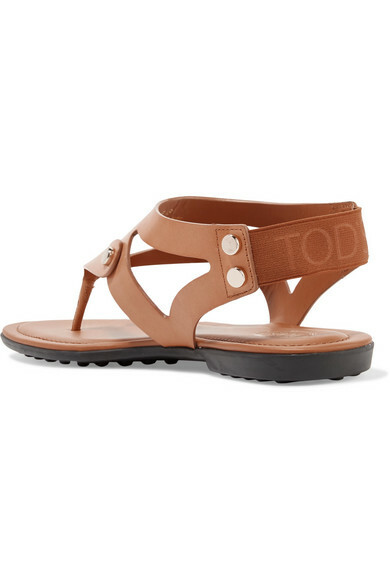 The exceptional craftsmanship that went into Tod's sandals is obvious from first glance - the panels of leather are punctuated with gleaming gold hardware and strategically placed to flatter and support the foot. 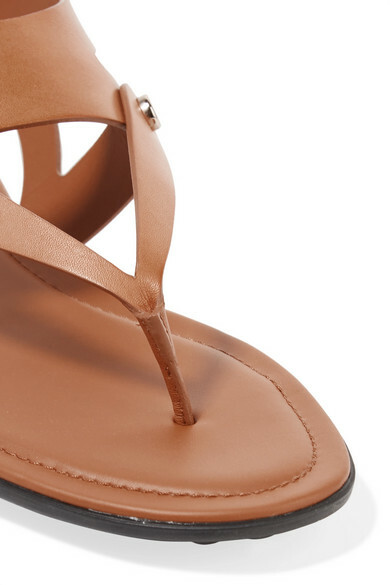 They're finished with an elasticated slingback strap and the label's signature pebbled soles for added grip. Wear them with cropped denim and midi skirts. Shown here with: Loewe Dress, Loewe Tote.